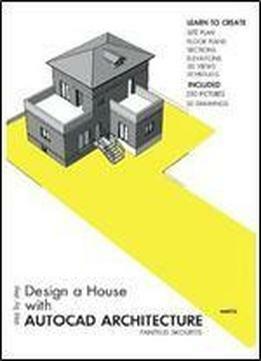 This eBook provides a step-by-step introduction to design a two-storey house with basement and roof-attic,using Autocad Architecture. Completing this book you will have created the following drawings: Floor plan, Elevations, Sections, 3D Views, Door - Window Schedule, Room Finish Schedule. Tutorials demonstrate step by step how to use Autocad Architecture to design a House.